"Deepest Sympathy 4 the loss of our bro-n-law, (Grand)/father & Husband. 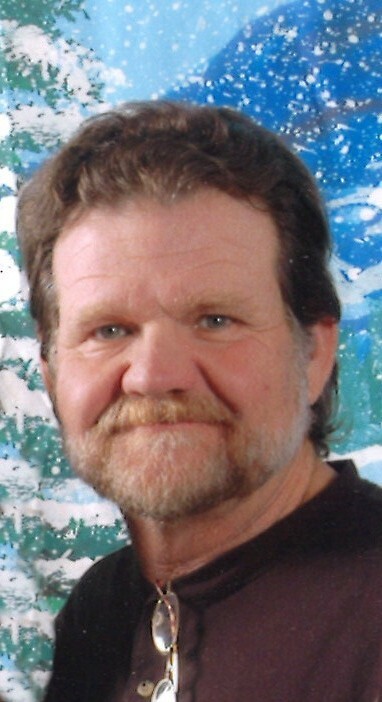 Absents of his Jolly humor will b noticed & missed @ future gatherings...."
Edward Lawrence Huddleston, 66, of Greeley, CO gave himself into the arms of the Lord on October 18, 2018. He was born in Upland, CA to Clayton and JoAnne (Maludy) Huddleston on September 15,1952. Ed grew up a leader amongst the flock. With a booming voice and his unmistakable laughter, he was easily found amidst the crowd. His gentle yet demanding demeanor made him easy to talk with. His passion for hunting and fishing encompassed many forms. At home, adrift on the gentle swells of the mighty Pacific Ocean, or lounging against the monstrous boulders atop the peaks of America’s mountains. A day in the sun or camping in the snow, Ed always made the best of what was put before him. Many opportunities moved him throughout life from state to state. From California where he graduated from Fontana High School in 1970 on to Arizona where he became a renowned general contractor and loving father. Back to California and to the state of Oregon where he became the owner of Hudson’s Honey Farm as a beekeeper. From there to Michigan and ultimately to where his heart belonged. April 1996 was when Colorado claimed his love for the outdoors and his inner child found peace. Soon after he met the love of his life, Kathi. Married in June, 2000 they moved to Pagosa Springs and settled down for years of fun. Archery competitions, hunts, and fishing trips kept them busy. Life brought Ed and Kathi to Greeley in the year 2011 where he got his CDL license. He and Kathi traveled the United States together and visited 48 states. It was at this time that Ed discovered he had cancer. He did the only thing he knew to do, took it by the horns and ran with it. Unable to give up his passion for building, he laid down his CDL and began building model airplanes and boats as a remote control enthusiast. As a member of NAMBA his summers were dedicated to weekend races and his winters building new models. Ed is survived by his wife Kathi of Greeley, children Eddy Huddleston of Pagosa Springs, CO, Scott (Alyssa ) Huddleston of Penrose, CO, Michelle Huddleston of San Diego, CA, Amberly (Beau) Ballentine of Frederick, CO, Melanie (Ben) Herold of Cañon City, CO, Brandon Taylor of Aspen, CO, Ashley (Michael) Riggs of Pagosa Springs, CO, sister, Lana Doring of Victoria, Texas, brother Hays (Shari) Huddleston of Loman, MN, mother JoAnne Ledbetter of Prescott, AZ, niece, Linda (Ricky) Powell of Victoria, TX, and nephew Chuck Mahoney of Prescott, AZ, and 15 grandchildren. A Life Celebration will be Friday, November 9, 2018 at 11:00 a.m. at Northern Colorado Cowboy Church, 33131 US Highway 85, Lucerne, CO 80646. Ed, How do you say good bye to your best friend. I don’t know, I’ve never had to do this before. Well here goes. I could write a book about the 12 years we have known each other, but most of those memories are mine to keep. You lived your life like you built our deck and porch, using your own words, “h_ll bent for stout”. I always knew you were tough, but you taught me the truest meaning of toughness by always keeping a positive attitude and never slowing down, even in the face of a rough diagnosis. You have given me the greatest gift in life, someone to call my best friend. A lot of tears have been shed by Monica and I since hearing the news. I'll never forget the first day I met you. I walked into Ski and Bow rack in Pagosa. You were the first person to say hello and show me the ropes of indoor tournament shooting. Instant friendship. A few days later we stayed up till 3:00 am talking archery, hunting and planning the upcoming elk season. That fall we signed up for a pack trip into the Chalks, and there we were in the middle of elk country. A couple weeks later I shot my first bull and you were there to help pack it out. I may have shot it but I always considered it “our” bull. I think you were as excited as I was about it. There is something about hunting together that bonds men for life. Over the years, life has taken both of us on our share of ups and downs. You moving to Greeley and me moving to Texas. You however, never let that get in the way of our friendship. Every year right before it was time to put in for our hunting unit, you would call and tell me how many points you had and were hoping to draw 76. “Just one more year” you used to say. Well, time ran out for our last chance at one more adventure. I know the mountains were getting steeper for both of us, but you don’t have to worry about climbing them anymore. You can just fly over them and do your scouting from up above. Do me a favor and send me a sign next elk season and let me know where that big bull is. Maybe I’ll get one more for “us”. Finally, lets talk construction. Everything you built for us was in your words “h_ll bent for stout”. One massive multi level deck in Pagosa and a huge covered porch here in Texas a couple years ago. Words can’t describe how happy I was to spend a few weeks with you here. All the while you were battling cancer and yet still never complained. Whenever I sit out under the porch you built with a whiskey in hand, I think of you. You will always be, in my mind, just like the things you built, ….“H_LL BENT FOR STOUT”. We love you and will never forget you, Mike, Monica, Mackenzie and Max PS.- I will try to make the service on the 9th, but Max and I have a 3rd season tag. I know you would understand. I will miss our talks at the mail box. My dear life time friend Hudd. Your friendship will be sincerely missed. Peace be with you. Love always. Bruce. Ed, we will miss the lighthearted joy you brought into our lives. It is not the same without you. Ed we will miss you very much. I am looking forward to you guiding my hand and heart while racing because you will always be a part of me now. Thank you my friend. 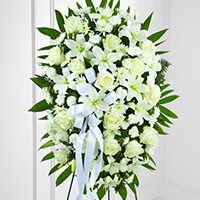 Deepest Sympathy 4 the loss of our bro-n-law, (Grand)/father & Husband. Absents of his Jolly humor will b noticed & missed @ future gatherings. Makes us sad we were able to continue biking & know had hard he tried to keep going in all aspects of his life, reminds me of the Crab Fest in Black Hawk. We will always remember ED as a fighter to the End with a gusto for life. Keep Good Memories close. With great Sadness & Sorrow we wish Gods Blessing & easing of pain thru Prayer & Faith. Luv U Lots!! You are the love of my life. We shared many fun years together and had many adventures. You showed great courage and strength during your long battle. You were a fighter to the end .I watched your pain and hurt with you. Rest In Peace my love. We love you always and forever Uncle Ed!!!! One of kind person there will never be another like you!! I cherish all of the memories we made throughout the years!!! God Bless you now and always we will always miss you and think of you often!!! You were truly one of a kind, Ed. You will be dearly missed.